This screw gate karabiner can be attached to spliced or webbing lanyards, and other PPE products. The screw gate is ideal for working situations where opening is occasional during the working day. For quick installation of items such as fall arrest blocks the screw gate is ideal, as the gate can be opened by the action of puching it onto the anchorage point, the gate can be manually locked one the karabiner holds the weight of the device. 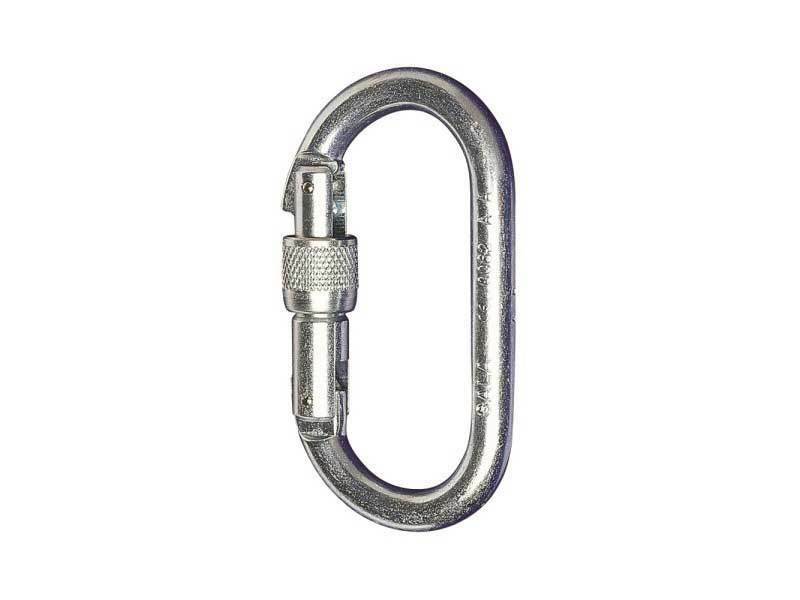 The karabiner is an alloy steel gate and body and has a gate opening of 17mm.